The 10th World Championship Bass on the Fly Fishing Tournament will be May 25, 2019 at Lake Fork Marina. This is exclusively for fly fishing and is a catch-photo-release tournament. There is a boater division(1-2 persons) and a kayak division (individual). The entry fee is $70/person and a portion of all proceeds goes to Reel Recovery and FFI-Texas Council, both 501(c)3 organizations. Cash payouts based upon the number of entries plus a lot of door prizes. Fun competition for a good cause. Details at www.bassonthefly.org. I’ve been fishing this tournament for many years now and I’ve enjoyed it every time(Even when I dropped my camera in the lake that would have given me second place). Ted and his crew work hard to make it a memorable event. Everyone who enters is a winner! You’ll at least win a door prize. 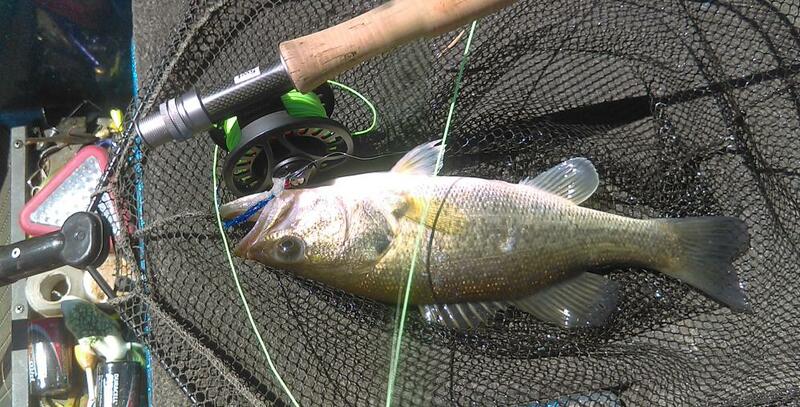 The beauty of fly fishing for bass is you don’t have to make an eighty foot perfectly placed cast. Most bass are caught with a twenty to thirty foot cast. I’m proof you don’t have to be a good fly caster to win this tournament. So why not come out to one of the best bass lakes in the country and spend the day with fellow fly fishers. I hope to see you there. I use to be young and dumb but Iï¿½m much older now! Bubba and I will be back again this year, it the most fun we have every year. 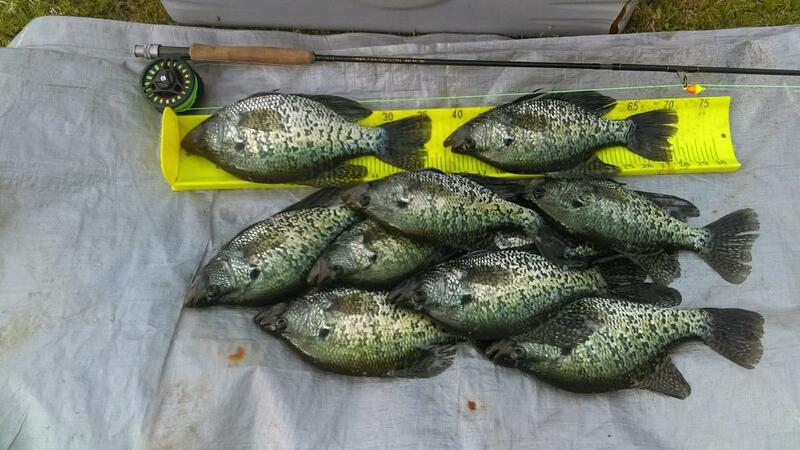 3 weeks ago on Pine, on our crappie flies we make just for crappie.